Oakwood FC Tournament 30.6. - 1.7. 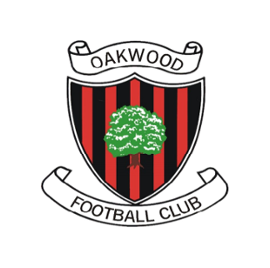 Welcome to Oakwood Football Club for our very first Youth Football Tournament! I have been associated with the Club since 1989, having many roles - Captain of the Men's 1st team for 10 years, coaching U7 through U18 Boys and latterly as Chairman. I am very proud of our Youth section and of all of their achievements, this weekend marks the pinnacle of what has been a very successful season for the club and we look forward to building on those successes and continuing to lay the foundations which offer youth football opportunities to both Boys and Girls in all age groups throughout our community. Huge thanks must go to all of the volunteers who have worked tirelessly to put this weekend together, as it is our first time as tournament hosts please bear with us as we learn the ropes! Finally, the weather looks like it will be good to us this weekend, stay safe, hydrated and have fun!